Have you ever wondered what it is like to be a children’s author? Or maybe you are interested in hearing how award-winning authors got their start? CEO of the publishing company, Cardinal Rule Press, Maria Dismondy,is hosting an interview series this winter with children’s book authors. Find out the inside scoop on how their journey began and hear about a day in the life of an author! We hope aspiring writers, classrooms and other fans nationwide will enjoy this exciting series! I LOVE the mission of this series and thoroughly enjoyed being interviewed. You can check out their list of upcoming interviews here. Maria also hosted a Fall series and those interviews can be the Cardinal Rule Press blog. LOVE IS KIND Blog Tour STOP FIVE: A Simply Seven Interview! Today I’m delighted to be interviewed by Jena Benton as part of her Simply Seven Interview Series. 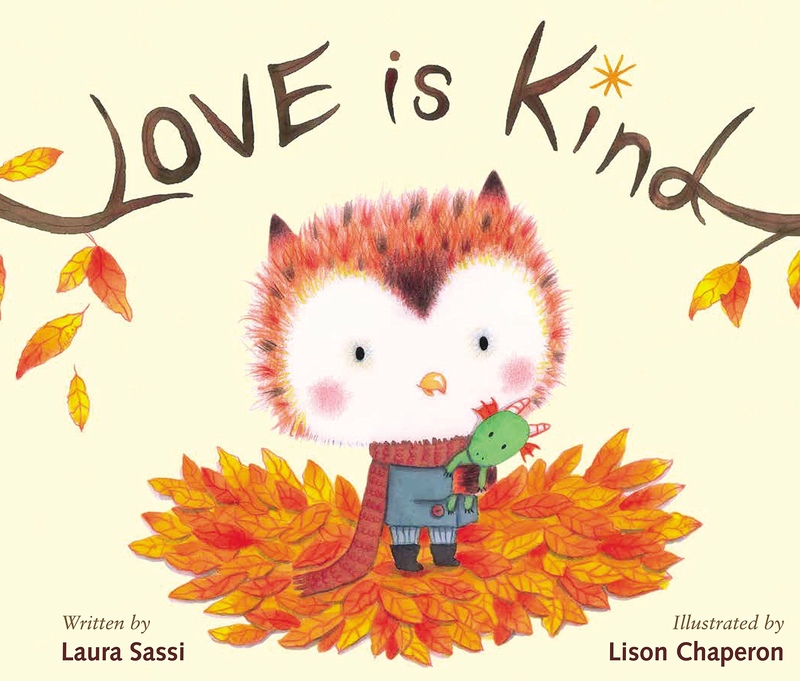 Interested in learning a little bit more about the backstory behind LOVE IS KIND? Then grab one of these virtual cookies, baked by Miss A, and head on over! I’ll make it easy for you. Click here. Oh, and there’s a giveaway too! Thank you for having me, Jena! I enjoyed answering your very thoughtful questions. Look what I spotted on my early morning walk. It’s a brand new fawn curled up in the dappled shade of a neighbor’s front lawn – so tiny and fresh, with soft baby chestnut colored hide and bright white spots! She’s the third such fawn I’ve discovered over the last few years, hidden – in plain sight – on the lawns of our suburban New Jersey community. The first time I saw a fawn curled up like this with no mama in sight, I thought it might be abandoned or lost. I’ve since learned that it’s standard practice in the deer world for a mama to leave her brand new (or nearly new) baby snuggled up like this in a quiet open space. She does this because when newly born, fawns are still wobbly and too little to keep pace with the older deer. Mama also needs to forage on her own for food so she has what she needs to properly nurse and care for her baby. And – if you haven’t figure it out yet – yes, this sweet fawn so tender and new has gotten me thinking about writing. Seeing her this morning reminds me how, as a beginning writer, I was often tempted to submit my stories to publishers way too prematurely when what they really needed was to be left alone to rest and grow in a quiet place while I went about my business of reflection, revision and nursing those stories with plenty of quiet restful breaks in between feedings, until they were truly fit and ready to send. I think ALL writers, seasoned and new, can benefit from this reminder every once in a while – and what cuter way to be reminded than with the image of a sweet young fawn snuggled up in a quiet front lawn. Happy writing… and remember not to rush the process. Interested in learning a bit more about the highs and lows of my writing journey, upcoming projects and more? Need a few words of writerly encouragement? Then, head on over to today’s thoughtful interview at the The Writers’ Rumpus. I’ll make it easy for you. Here’s the link. Thanks for having me! Diva Delores and the Opera House Mouse BLOG TOUR: Stops FOUR and FIVE! The official Diva Delores Blog Tour continued yesterday and again today with stops at Vivian Kirkfield’s PICTURE BOOKS HELP KIDS SOAR blog. Yesterday, DIVA DELORES was featured as Vivian’s Perfect Picture Book Friday pick and today I’m featured today on her Will Write for Cookies series weighing in with my thoughts about cookies, of course, as well as some hopefully tasty insights into why I write for kids, who my favorite favorite authors were as a kid and more. Oh, yes, and there’s a giveaway as well! Please pop over. There are cookies! *Delightfully decorated cookie (shown above) created by Miss A! AUTHOR SPOTLIGHT: A Chat with Carol Gordon Ekster in Celebration of the release of her newest book YOU KNOW WHAT? Please join me in welcoming four-time picture book author Carol Gordon Ekster as we chat about her newest book YOU KNOW WHAT?, illustrated by Nynke Talsma and published by Clavis, a Belgian publisher, about a little boy who’s doing his very best to postpone bedtime by asking lots of questions. Her other books include RUTH THE SLEUTH AND THE MESSY ROOM (Character Publishing), BEFORE I SLEEP, I SAY THANK YOU (Pauline Press and Media) and WHERE AM I SLEEPING TONIGHT? (Boulden Publishing) Take a look at the YOU KNOW WHAT? book trailer below, then enjoy the interview that follows, with my questions in warm blue to match the book cover.. Question 1: First of all, welcome, and congratulations on this latest book. What inspired you to write YOU KNOW WHAT? I love writing on planes…the confinement, the focus…my mind flies off into its best creative space. So there I was, in August 2014, on an airplane to meet my grandson two days after he was born. My laptop was on the tray and I was working on a story. I heard the child in front of me say to his parents, “You know what?” And my fingers immediately started typing a new document. That day I began brainstorming, more of a cause and effect exercise with every sentence beginning with, “You know what?” But when I returned home and began the real work on that draft, it developed into a conversation between a mother and son where Oliver uses the repeated, “You know what?” to postpone his bedtime. The story wasn’t planned, it came to me like a gift. I wonder if I hadn’t been in that exact seat or not heard this child’s “You know what?” would I have picked it up somewhere else? I think catching the right story idea is a miracle! I think you were meant to be sitting in that exact spot. What a wonderful example of being intentional and ever on the look-out for story sparks. Question 2: Did you always want to be a writer? Tell us a little bit about your writing journey. No, I did not always want to be a writer! Writing is hard. I was passionate about teaching and lived and breathed it most of my life as a fourth grade teacher. There was little room for anything else. Then my last seven years before retirement, writing snuck in like a welcome surprise. The need to write came over me at the beach one day. I felt taken over and had to walk to my car to get post-its, the only thing I had to write on, and a pen. I came back to my seat on the sand to write my first picture book. It was never published and unless it undergoes major revision, will never be sold. But that was the first of many. I started writing late in life and am making up for lost time. It was the 20th manuscript that I wrote that was the first to sell. Starting to write while teaching was a sweet beginning into this journey because I got to share it with students. I became a better teacher and a better writer and I believe my students became better writers because they saw the writing process in action. They were my first critique group! Now retirement gives me the time to live and breathe writing. It’s such a great second career in that I get to continue communicating with children, but I can do it anywhere and on my own schedule. Your journey into writing is inspirational and a lovely reminder that writing is a craft/career that one can hone and develop at any age. Question 3: Most books by American authors are published first in English and then, if we are lucky, they get translated into other languages. But YOU KNOW WHAT? was first published in Dutch! Tell us a little bit about that process. This process was definitely a little scary! The Dutch version came out in December 2016. I couldn’t help in its promotion, see it bookstores, check Amazon’s Author Central to know how it was selling. I had to trust in Clavis Books. I was excited at the possibility of extending my readership. And Clavis brings their books to all the international book fairs, which is wonderful. Both Chinese and Korean publishers already bought the rights. My other books have never been translated into another language, so I’ve been ecstatic. The English version came out September 1, 2017 and now I can get involved in marketing and help spread the word…like right here with you. And here’s the Dutch cover so our readers can see what that version looks like. Question 4: Teachers and parents are always looking for ways to tie picture books into the curriculum or extend the enjoyment with post-reading activities. Do you have any extension activities your readers might enjoy? Yes! I have activities, as I do for all my books, on my web page. I am a teacher first and foremost and as I’m writing a book I’m often thinking of extension activities and asking myself questions like will this work for a mentor text for strong verbs, alliteration, etc. With YOU KNOW WHAT? someone in my critique group suggested a different ending, which left things open ended. I loved that and immediately knew I’d make a sheet that children could fill out with what they thought that last “you know what?” might be. And I got the sweetest e-mail from a winner of the Shelf Awareness giveaway. She read the book with her five year old granddaughter with her granddaughter reading Oliver’s part while she read the mother’s part. Because YOU KNOW WHAT? is entirely a dialog between Oliver and his mom, the book lends itself to that kind of readers’ theatre. I hadn’t thought of that and was thrilled to learn of another way to read this book. 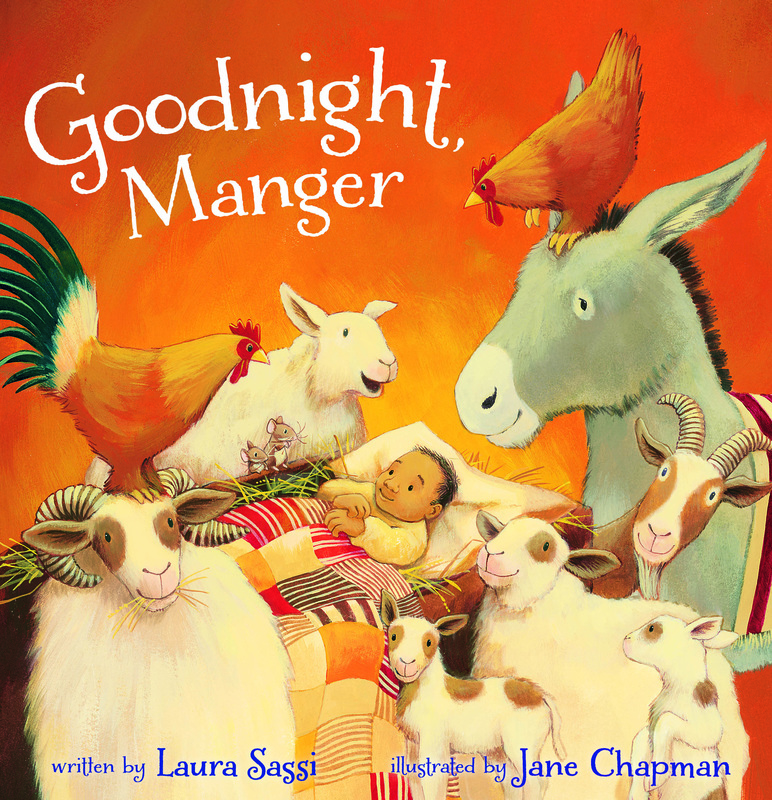 Here is the link where you can find language arts, math, creative arts, dramatic play, and gross motor activities that coordinate with the book. Terrific! Question 5: Finally, what’s next? Are there more picture books and projects in the pipeline? Also, where can interested readers find your books? I recently sent out my 80th manuscript. And I have SO many more on my desk top in varying degrees of readiness to be sent out to publishers. I am not yet agented so I do research about where to send my stories and then send them out on my own. I am hopeful there will be more published books in my future. As far as where readers can find my books, I love supporting local bookstores. But if that isn’t an option, you can find the book at all e-tailers. Also, I love public libraries and am an avid user myself. You can ask your library to get the book for you if they don’t already have it. Carol Gordon Ekster taught elementary school teacher for 35 years. Her first published book, Where Am I Sleeping Tonight?-A Story of Divorce, Boulden Publishing, 2008, was an About.com Readers’ Choice 2012 finalist for Best Children’s Book for Single Parents. “The Library Is The Perfect Place”, was acquired by Library Sparks magazine, 2010. 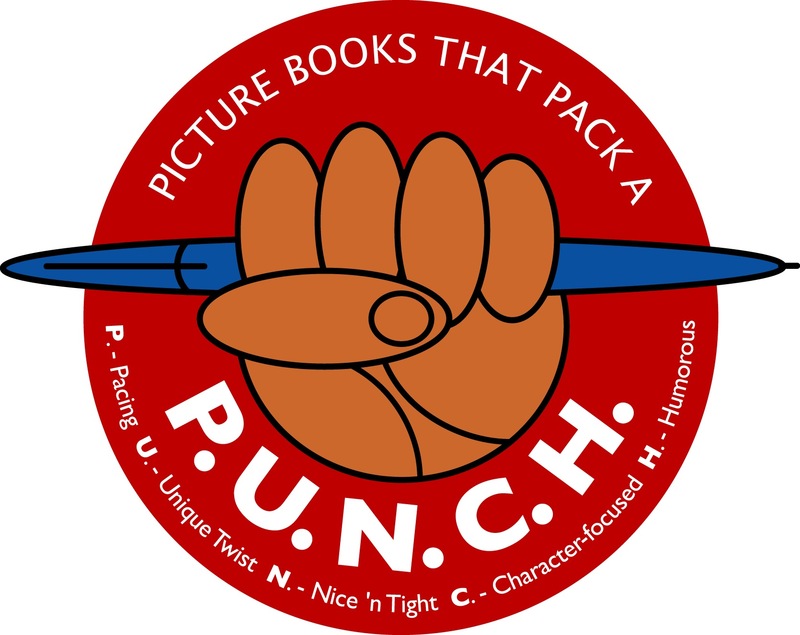 A picture book, Ruth The Sleuth and The Messy Room, was on Character Publishing’s debut list, 2011 and was awarded the Children’s Literary Classics Seal of Approval. 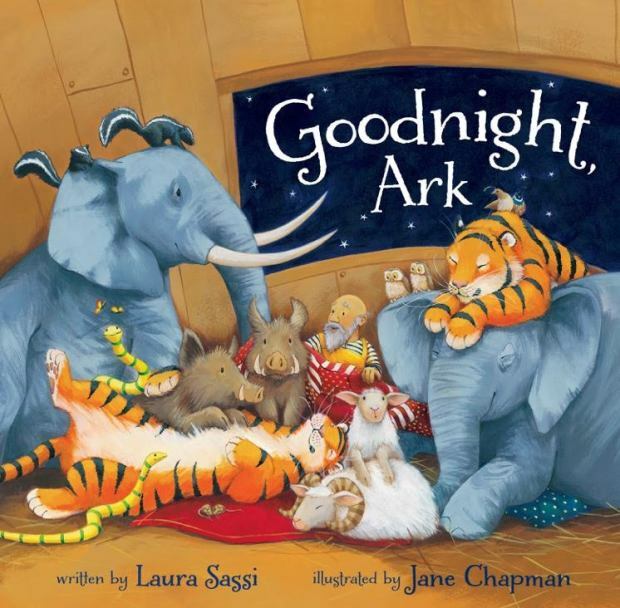 Her picture book, Before I Sleep: I Say Thank You, Pauline Books and Media, released January 1, 2015 and is now in its third printing. The book was the 3rd place winner in the Catholic Press Association’s 2016 Book Awards in the children’s category and was a finalist for the ACP Excellence in Publishing Awards 2016. Her first e-book came out spring 2015 as part of a digital library with Schoolwide, Inc. Her new book, You Know What? with Clavis Books came out first in Dutch, December 2016, and the English version released September 1, 2017. Korean and Chinese versions are in the works. Carol spends time in critique groups, doing exercise and yoga, and working on her books. One thing I’ve learned as a picture book author is that the publishing process is SLOW! This SLOWNESS includes not only the writing stage – it took two years to get my first book GOODNIGHT ARK polished for publication and there was an even longer process for me in writing my newest upcoming book DIVA DELORES AND THE OPERA HOUSE MOUSE – but also the submitting and publishing stages. When “on sub”, there’s the nail biting while you wait for editors to respond to stories you have submitted for consideration. That can take months! Or years (as I have discovered)! And then, once a piece is accepted, it typically takes another two years for a picture book to finally release – mainly because illustrating the book alone takes almost a year. So, what is an eager writer to do while she (or he) waits? Here’s a list to inspire you… please add to it in the comments – and inspire me! Brainstorm new story ideas. 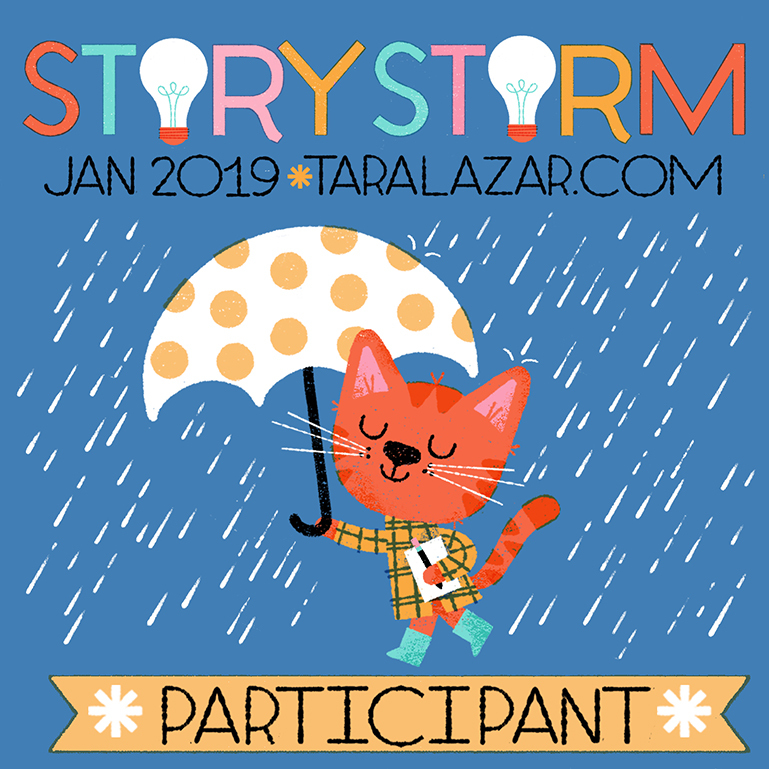 Tara Lazar’s annual January STORYSTORM challenge is a great way to jumpstart this. Keep writing. This includes journaling, working on stories-in-progress and, of course, new pieces. Any combination is fine. Just keep moving forward, writing-wise. Start planning for your book launch. Planning for a book launch takes lots of coordinating – with other bloggers if you are planning a book tour, with bookstores, libraries and schools if you are planning events, of course, with your publisher (who will also have great ideas)! I start planning at least six months in advance. Get something new ready to sub. While waiting for responses on amanuscript, there’s no reason not to submit something else elsewhere. Experiment with a new genre. If you write picture books, try poetry or early chapterbooks. You may discover a new writing love! Develop lesson plans/ extension activities for your upcoming releases. Parents and teachers are always looking for ways to extend the reading experience, so have fun building a nice stock of puzzle, coloring pages, discussion questions and lesson ideas for your stories. Each one will make a great blog post and/or you can gather them in a packet to have available on your website or on the publisher’s website. YOUR TURN! Please inspire us with other ideas for keeping busy (and productive!) while waiting for writerly news. Happy Waiting, all! 10 TIPS for Finding WRITING TIME when you THINK You’re TOO BUSY TO WRITE! Think you are too busy to write? Here are a few strategies I’ve found helpful to keep me writing regularly. What tips would you add to the list? Happy Writing! TIP #1: Stay up an extra hour a couple of nights a week to snag some nice chunks of writing time. TIP #4: Write for five minutes on the top of the hour – all day long. (For those other 55 minutes, your mind will be whirring with ideas, as you go about your day, then you can let them pour out in hourly spurts. Set the timer and don’t hesitate – write! TIP #5: This next suggestion works especially well if you have kids at home. Designate 30 minutes (more or less depending on the ages of your kids) as “Creativity Time”. Offer options: drawing, painting, writing songs, choreographing dances, etc.! Then, set aside the chores of the day and celebrate 30 minutes of creativity. Let them embark on their creativity, while you embark on yours – writing! TIP #6: Recognize that the writing process is multi-faceted and that just thinking about what you want to write is actually part of the process. I would just add that, for me, it’s good to jot down what I’ve been thinking about at some point during the day, so that I don’t forget any important breakthroughs or thoughts I might have regarding a story or story idea. TIP #7: Shorten your lunch break by 15 minutes to grab a little extra writing time. TIP #8: Write while you are walking the dog by using “dictation mode” feature on your cell phone. Then email yourself your “walking text in progress”. TIP #9: Make a to-do list for the day, then incorporate writing time as your reward at various stages of the day for every few tasks that you successfully check off. TIP #10: Commit to a once-a-month writing retreat – where you head to the library (or special spot of your choice) for a full morning or -even better – day of writing.